Homicide can simply be understood as the act of killing another human being. Homicide cases can be very complicated because the circumstance under which the killing occurs determines its legality. Defining the particular circumstance under which homicide occurred can be a daunting task, and its misrepresentation in a Texas court could lead to injustice on the part of the accused. Therefore, if you’re involved in a Texas homicide case, you’ll need a competent Texas criminal lawyer to defend you and to fight for your rights throughout the case. Below is a discussion of some important issues you should understand about homicide cases. Criminal homicide can be divided into several different categories and subcategories. Murder and Manslaughter are the most common categories. Murder is usually considered as killing someone purposefully. Manslaughter, on the other hand, is understood as the crime of killing a person without malice aforethought. Manslaughter can further be divided into two subcategories depending on the situation surrounding the homicide: voluntary manslaughter and involuntary manslaughter. Justifiable homicide means that the accused killed a person a person in defense to prevent something that might have happened to them. This type of homicide usually recognized as self-defense to protect you and your family. For instance, if armed robbers break into your house, you have a right to kill them to stop them from hurting you and your family. Depending on who was killed during the homicide, the name of the crime can be varied. For instance, patricide means that the accused killed his/her father, matricide means that he/she killed his/her father, while genocide means that the accused killed many people based on ethnic, national, or religious reasons. This may appear complicated, but it can be useful in determining more information concerning what happened when a given act of homicide occurred. 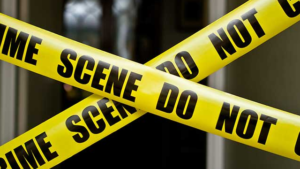 Even though the classification of homicide seems to be very clear in theory, the line between different types of homicide cases can be quite blurred in practice. Yet the decision of the court on the nature of punishment in these cases depends significantly on the classification of a given homicide case. For instance, if a case of manslaughter is misunderstood as murder, it can lead to more years in prison. Similarly, if a case of self-defense is misrepresented as manslaughter, it can lead an innocent person to prison. To avoid such occurrences, it’s imperative to get the assistance an experienced Texas criminal lawyer to help you to navigate the complex criminal justice process if you are involved in a homicide case. From the foregoing discussion, it’s apparent that even though the classification of different homicide cases is unambiguous on paper, it can be quite complicated in practice. A misrepresentation of your case could lead to an unfair judicial decision. Therefore, it’s important to work with a reliable Texas criminal lawyer if you’re involved in a homicide case in the state of Texas.